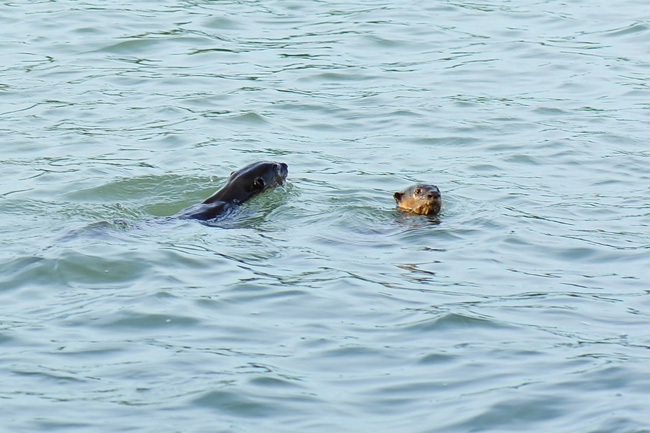 2015 have been a rather eventful year for the otters in Singapore. 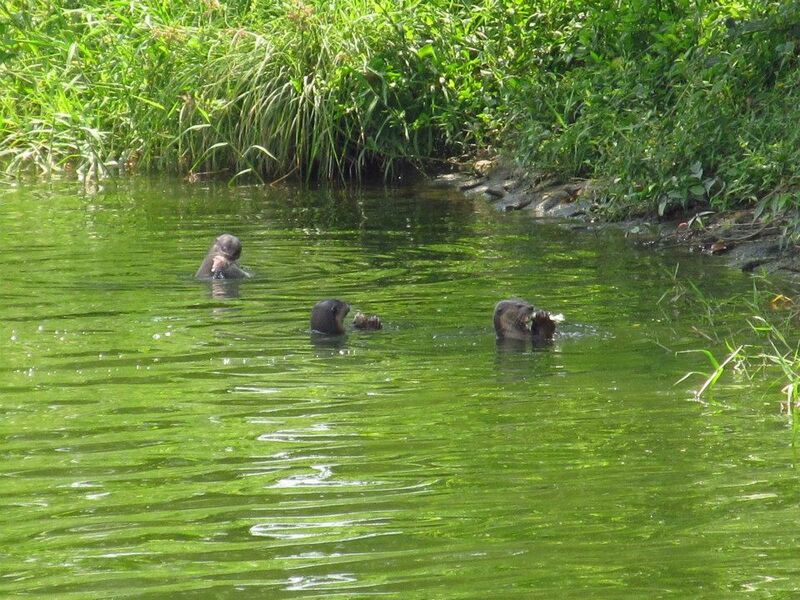 The appearance of three smooth-coated otter pups born and raised in Bishan-Ang Mo Kio park (Apr 2015) got many Singaporeans excited as people were astounded by the fact that they were able to enjoy the sight of wild otters in an urban park right smack in the heartlands of Singapore. The otters’ presence in Bishan-Ang Mo Kio Park was also a testament to the efforts of various government agencies in cleaning up the Kallang river in the late 20th century and maintaining a beautiful and clean river these days (The Kallang River flows from Peirce Reservoir to Marina Reservoir and into the sea through Bishan-Ang Mo Kio park). Other notable events include the otters being featured on television. Wild City, a two-part documentary series revealing the hidden and urban wildlife of Singapore, narrated by the natural history legend Sir David Attenborough, featured smooth-coated otters in the wild (Sungei Buloh Wetland Reserve) and in the urban (Marina Bay – Gardens by the Bay). *You can catch Wild City online at: www.wildcity.tv * The otters were also featured on Channel 5’s Talking Point as well as Channel 8’s Hello Singapore (狮城有约), highlighting the need to love and protect the otters of Singapore. One otter was also baited and hooked by an illegal angler in October 2015. Singaporeans were outraged and rallied to find the suspect on Facebook and the culprit eventually came forward to the police. All the limelight on the smooth-coated otters may lead people to think that there is only one species of otter in Singapore. However, there are in fact two species that can be found here. They are the smooth-coated otters, and the more elusive Asian small-clawed otters. The population of smooth-coated otters in Singapore have been growing in the past decade, and their appearances in urban environments certainly have resulted in an increase in the public’s awareness of them. 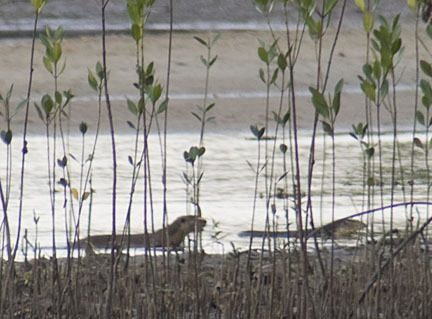 Little research has been done on the other species, the Asian small-clawed otters and they may still likely be found in Pulau Ubin and Pulau Tekong. They are harder to spot because they are nocturnal and can be found only in these few areas. Here is an infographic that showcases the characteristics of both otter species of Singapore as well as the general locations that they can be found in. Do remember that if you see wild otters, do follow the guidelines shown below for a pleasant experience for both you and the otters. 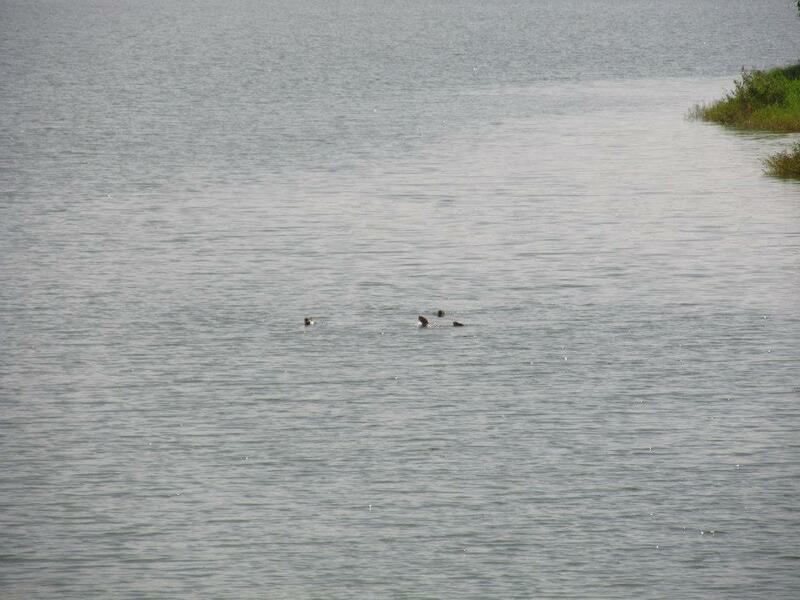 We would also greatly appreciate if you could record your sightings at http://mammal.sivasothi.com/ The information obtained will be very helpful for on-going research on the otters of Singapore. An otter enthusiast who goes by the moniker “Fast Snail” is someone you otter check out if you’re into these furry creatures! 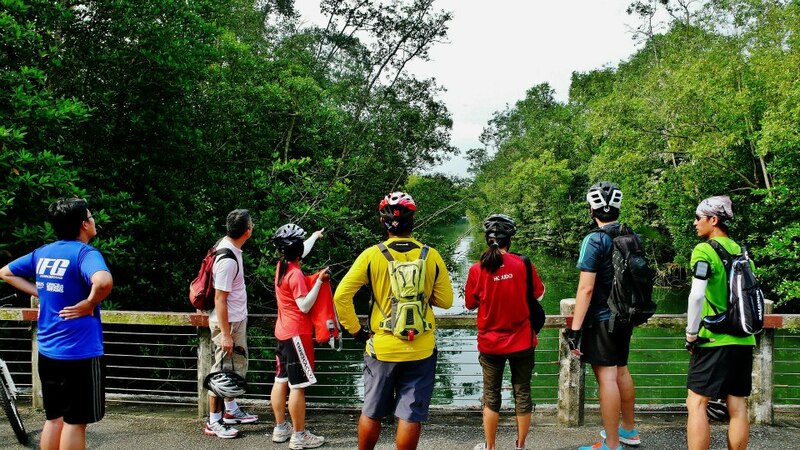 The Otter Cycling Trail is a biannual event where we take participants to beat-up natural areas along the northeastern Park Connector Network (PCN) to promote both cycling and nature guiding. Amanda (Chicken/RedJungleFowl Girl) and I (Ottergirl) are out again to bring a whole new and improved version of the Otter Cycling Trail (OCT) ! After a challenging recce conducted a week before, the new guides were all fired up and prepared for this ride. With support from the veteran guides, we were well stocked with a total of 7 nature and 7 safety guides! After the crucial bike checks, we headed off to our first pit stop – Pasir Ris Park! 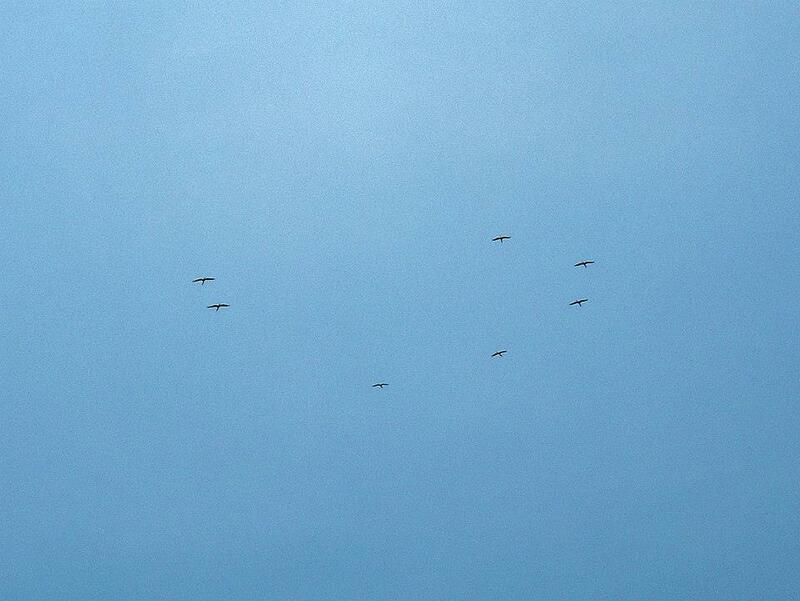 The faunal action that started with the resident Grey Herons certainly did not stop there. Shortly after, we encountered a waiting Andy Dinesh below several trees. 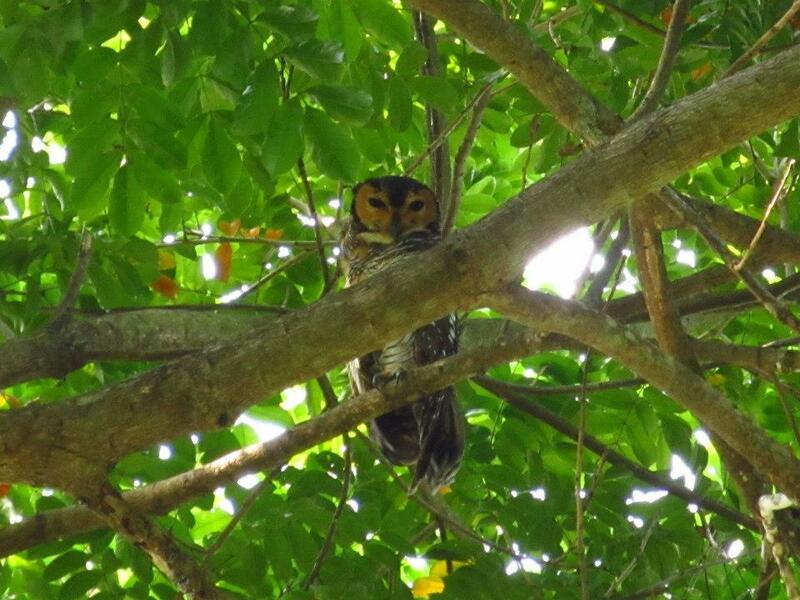 A Spotted-wood Owl was in our midst! Participants and guides took great care to be quiet so we wouldn’t disturb it! As we rode along Pasir Ris Farmway 3 towards Lorong Halus, we were greeted by even more wildlife! The most exciting part of the ride had to be when we were graced with the presence of some special visitors! Just as I led my group into pitstop #2 (Serangoon Reservoir), I picked up the all-too-familiar squeaks amidst the loud, excited chatter of a wedding entourage that were taking pictures along the Lorong Halus bridge. Adrenaline shot right up me as I jerked my head towards the direction of the squeaks and saw round bobbing heads in a distance… “OTTERS!! !”, I exclaimed. A good 10 of them! After orientating my group members to the direction to look, I ran to gather the other groups and did nothing to contain my child-like excitement. Back at the bridge, the large group of otters were noticeably closer and could be seen going up a nearby bank to groom and defecate. Foraging in the nearby waters followed as the participants watched in awe and let out exclamations of excitement. It’s always wonderful to share the joy of watching animals like the otter in the wild, especially one that is not easily seen and is so charismatic to boot. To have chanced upon them swimming up the reservoir at the right place at the most opportune time was certainly pure luck! For the virgin otter-spotters, this was certainly a treat and a story to tell! an otteriffic encounter @ serangoon reservoir – 24Mar2013 from SgBeachBum on Vimeo. 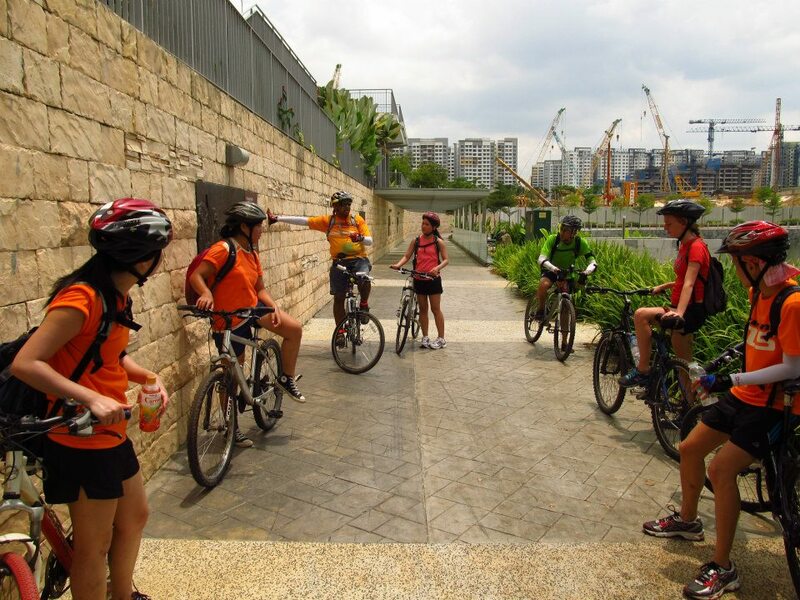 Participants rode to Sengkang Riverside Park to have lunch at Mushroom Cafe. This video was made by Nature Guide Ng Wen Qing highlighting two of our lucky sightings during Otter Cycling Trail v2.0. What a ride! Interested yet? Keep checking this space for the next Otter Cycling Trail v3.0! How do you identify an otter? SO before you go on to record your otter sighting (or if you’re just here out of interest), here’s a short tutorial to confirm the sighting of the animal. They’re often mistaken for other animals such as the moniter lizard which may appear to be an otter to an untrained eye. 1. Round, brown, glistening head out of water. Unlike the moniter, which has a scaley head and pointed snout! A monitor lizard swims laterally, meaning, side-to-side. Notice that it keeps its head above the water the entire time. An otter will usually bob its head up and down, surfacing for breaths. 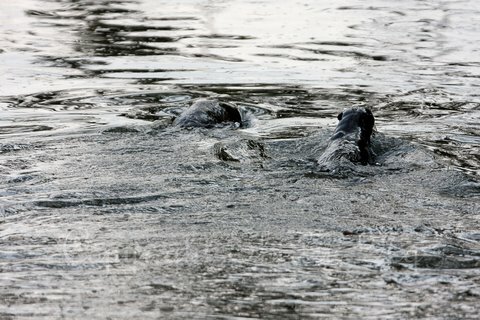 If you are now confident of your otter sighting, record your sighting HERE! Tell your friends, spread the word! A student symposium will be conducted sometime in July. I will be giving a short presentation about my research findings about the smooth-coated otter’s status, distribution and diet in Singapore. 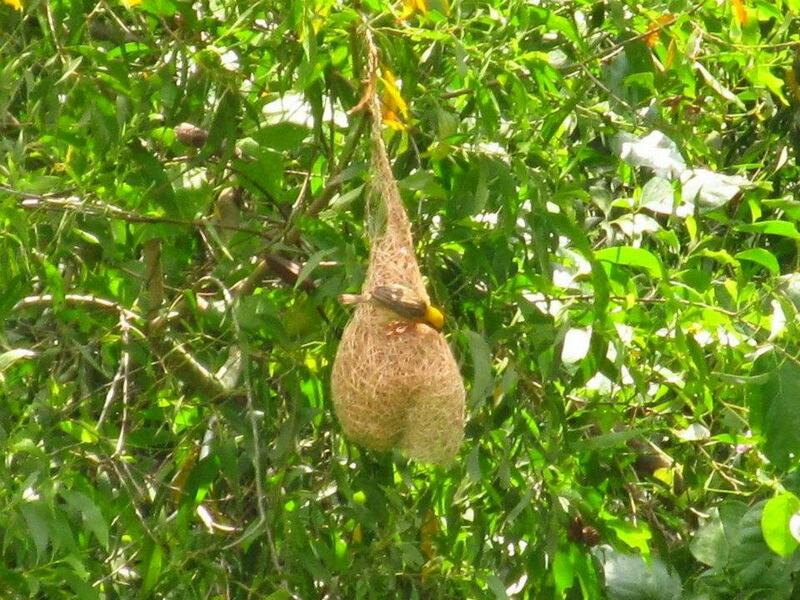 Other research subjects include the Common Palm Civet, Common Water Monitor, Mangrove Crabs, Red Jungle Fowl and Domestic Cats. So watch this space! Continuing otter research into another year! The first year of my smooth-coated otter research found the species widespread distribution across the Johor Straits. This year, my research will delve further into understanding the ecology of this charismatic mammal. b. If you find any otter signs (faeces or paw prints), contact me as well. c. Increase the awareness of otters in Singapore, promote this site! 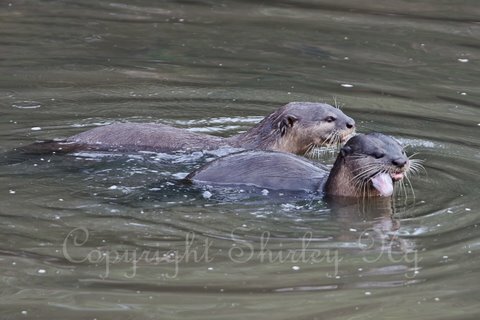 If you have photographs with the otters feeding, you are kindly urged to send in your photos! The photos will aid greatly in the diet studies of the smooth-coated otter. From the pictures, the identification of prey species may be possible. Such information will supplement the diet studies and are very valuable as evidence for the kind of fish/organisms they eat. So if you have such photos*, do drop me an email at uberhyped@gmail.com. Thank you for caring about the conservation of this species! *These pictures will only be used for research purposes and credit will be duly given if they are reproduced.